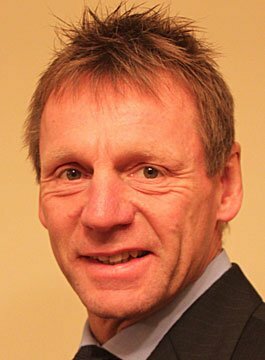 Stuart Pearce MBE is a former England footballer and manager. Pearce played for Wealdstone, Coventry City, Newcastle United, West Ham and Manchester City. However, he’s best known for the 12 years he spent at Nottingham Forest where he became team captain in 1987. During his time at Nottingham he made 401 appearances and scored 63 goals. Stuart made his international debut in 1987, aged 25, against Brazil. He went onto earn 78 caps for England. He was the team’s first choice left back before retiring from international football in 1999. Pearce’s autobiography ‘Psycho‘ was published in 2001, becoming a Sunday Times best seller. He retired as a player in 2002 while at Manchester City. However, he stayed with the club in the capacity as coach under manager Kevin Keegan. In 2005, Stuart was promoted to manager at Man City, a position he held until 2007. Between 2007 and 2013 Pearce was manager of England’s under 21 team. He also managed the Team GB Olympic football team at the 2012 Olympics and managed the full England team following the resignation of Fabio Capello, before Roy Hodgson’s appointment. In 1998 Pearce was awarded an MBE for his services to football. Away from the pitch, Stuart has a great knowledge of the football business and the game he loves. Stuart Pearce is available for motivational and after-dinner speeches.